Franny Knight discusses how to change your life through changing your thoughts. To live the life of your dreams, hopes and with a purpose. Is it time to hit the control alt. delete button in your life? I recently read the book E-Squared by Pamela Grout. 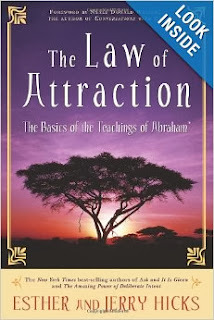 Its a practical, 9 experiments book on Qauntum Physics and using its understanding of energy to get what you want in life. I have been a student of Law of Attraction, Course In Miracles and Creating Your Own Destiny for 25 years. 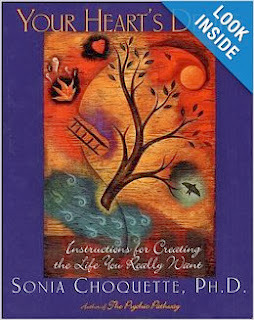 This book was a great take it to the next level of practice. I did almost all the experiments in the book - most of them are something like this "ask specifically what you want and the time frame you want it in" her suggestion was 48 Hours. So I asked, but most of the experiments it didn't show up in the 48 hours. But started to show up a week later. My molecules are definitely transforming and I am definitely creating new manisfestations of my hearts desire. In 1998, I started a business called Knight Vision in Wichita, KS (my home town). I started it after reading a variety of books on Do What You Love the Money Will Follow themes. I rented a cool office and started putting the word out about my counseling/coaching services. I did a 1x a month "Follow Your Dreams Saturday Workshop" and a weekly Dream Builders Support Group. Unfortunately, I couldn't make enough money and had to go get jobs to support myself. In the meantime the relationship I was in was not supporting my Knight Vision. We eventually broke up, I moved back to KC and began my Career as a Professional Speaker & Trainer with National Seminars. I started using my "manifesting my life" skills again as I was building my "Shenanigans" Brand of Speaking & Training when I was on the road working for National Seminars. Shenanigans was corporate training to help companies to lighten up, be more creative and encourage a work culture of fun. I wasn't able to make a success of this business either. Again for a variety of reasons: 1) I met my now husband and started spending most of my free time with him 2) Shenanigans programs were missing the mark of where I was hoping to have impact - most of the people I trained were either disempowered to go back to their workplace and implement my strategies or the company was very far from allowing or encouraging their employees to do the things to help them to be more creative. I essentially became an Entertainment Speaker-Trainer to give people some fun, break and some take aways. It just wasn't enough impact for me. At the same time I was getting extremely burned out from all the road warrior-travel I was doing for National, 5 days, 5 different cities usually 2-3 hour drives every night, with 12-14 hour work days and not getting paid well. I loved training, hated the travel and being away from home. I was really craving a different lifestyle, a community, a garden, hobbies, dogs, husband that traveling would not allow. So I resigned from both National & Shenanigans in 2008 and began reluctantly started a career as a Realtor. My husband was a part-time Realtor as a Retirement Vocation (wasn't going to retire for 8 years though - he's 1 year from retiring now). Even though I have made the best of a Real Estate Career over the last 5 years during the worst housing market ever, my heart just isn't in it. Its not my passion, love, heart's desire. All the things I had taught with Knight Vision back in 1998. So here I am full circle - raising from the ashes Knight Vision: Coaching Consulting Training for people to Follow Their Heart's Desire for their Vocation/Career and to help Companies to encourage their employees to follow their dreams. This Old Dream Reinvented came as I was doing the E-Squared experiments. The first step is to ask yourself every day until you feel you have truly arrived at your soul's/heart's desire, gift, purpose "If I could do anything I wanted, $ wasn't an issue and I was guaranteed success - what would I do?" Typically the first few times you actually answer that question - you come up with a compromised desire - something that seems more reasonable, doable. But the key to manifesting is to really be truthful and find your true passion-calling. E-Squared got me to get back to this question for myself. The answer, coach, counsel, train, consult to help people find their calling-purpose-heart's desire and to help companies do the same thing. So it truly is full circle. It's a bit intimidating - to make another major career shift from Real Estate back to Coaching but I know I will be happier and more fulfilled. I will be Blogging here about the next steps after you have asked the question and got the right answer - not the compromised answer. 2. Spend 30 Days writing about it in a journal. 3. Learn, relearn, go deeper, get another book, join a support group on Law of Attraction, Quantum Physics - basically you get what you ask for. 6. Understand and be prepared for the obstacles. Number of times you have hit the Ctrl/Alt/Del Button and Reset Your Life?